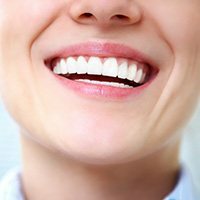 We emphasize cosmetic dentistry, an aspect of modern dentistry that allows us to conservatively restore your teeth back to their natural strength and beauty. It also enables us to enhance your appearance by closing gaps, straightening crooked teeth, lengthening worn and chipped teeth, and whitening teeth for a more youthful, clean, and healthy-looking smile. Our goal is to make your teeth look natural and beautiful so you can have a confident smile for life. Why Choose Brooks Dental for Cosmetic Dentistry? Achieving a straighter smile with a customized orthodontic treatment plan can positively affect a patient’s life in various ways. 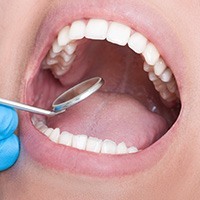 Not only can noticeable gaps and crooked teeth finally be corrected for a more attractive overall appearance, but oral health and oral function are likely to improve as well. At Brooks Dental, we are thrilled to offer the services of an in-house orthodontist for maximized convenience and expertise in a location you and your family already feel comfortable in. Invisalign is the invisible way to straighten your teeth without braces. It can give you the beautiful straight teeth you have always wanted. It works using a series of clear, removable, and comfortable aligners no one can tell you are wearing. So, you can smile during treatment as well as after! Invisalign has been proven effective, and Dr. Brooks is certified to treat with Invisalign. Wouldn’t it be easier if you could achieve your ideal smile all at once instead of undergoing several, time-consuming procedures? Porcelain veneers make this lofty goal a reality here in Winthrop. This style of restoration is crafted from high-quality dental ceramics and designed to serve as an extremely thin shell – thin enough that it can be placed over the visible surfaces of requested teeth in a natural-looking way, hiding years of frustrating stains, chips, gaps, and other flaws in one fell swoop. When our dentists recommend the placement of a new dental crown, inlay, onlay, bridge, or other restoration, we don’t want our patients to be worried about the aesthetic appeal of this addition. That’s why we primarily use the latest metal-free materials in the dental field today for superior function, longevity, and cosmetic value. Zirconia and ZEUS Ultra ceramics are not only virtually indistinguishable from natural tooth enamel, but their strong and biocompatible nature is well-suited to any smile, even for patients who’ve struggled with sensitivities to common dental materials in the past. If you are seeking a relatively small positive change for your smile, such as the correction of a stubborn dark spot or a chipped tooth, direct bonding is available as a “quick fix” here in Winthrop. In most cases, this procedure will only take one appointment, which is ideal for busy patients who need to return to their regular routine as soon as possible. One of our dentists will apply tooth-colored composite resin to the tooth in question and carefully sculpt it into place so that it corrects the issue subtly and attractively. After hardening the new addition in place with a high-tech curing light, it should serve your smile well for several years. To whiten your teeth, we use the most advanced technology available, called Zoom! The process takes about an hour, and the results are dramatic--up to seven to nine shades whiter in less than 60 minutes! You can quickly go on with your day right away with a whiter, brighter smile. Sometimes, a patient’s smile simply contains too much gum tissue, resulting in teeth that look noticeably uneven or “stubby” in appearance. Our dentists offer aesthetic gum recontouring here in-office, which will involve a conservative reshaping of the natural gum line in order to reveal previously hidden dental structure and create a much more symmetrical and pleasing look. Gum recontouring may also become necessary for restorative purposes, such as if a tooth is too far hidden in the tissue to successfully receive a new dental crown. We always want our patients to feel confident about their proposed smile makeover, whether they’re planning to undergo professional teeth whitening or receive a new veneer. That’s why we love giving you a virtual sneak peek into the future with the help of cosmetic imaging! Plastic surgeons have been using this style of technology for years now with great success. The process is simple – we’ll have a laboratory-made wax model crafted to demonstrate the positive changes you can expect from your brand-new look. You’ll essentially be able to hold your brand-new smile in your hands, request tweaks as necessary, and proceed to treatment without worry.